Each week Lachlan Mitchell, gloriﬁed tabloid writer, tries to cover up that he is blatantly copying Vanity Fair. There are some aspects of my life that I just do not choose to talk about – it is not worth delving into these memories without the comfort of my boyfriend’s presence, or the assured confidentiality of a therapist. The memories certain people have so physically imprinted into my life are memories that I still have trouble verbalising at points. Which is why BoJack’s fifth season is one I am not likely to revisit for a while, in spite of its assured high quality. This season of BoJack Horseman is probably its most straightforward season yet, but also its most troubling. Any season of television with topics about abusers is going to be. In this season, Raphael Bob-Waksberg has dived into the post-Weinstein explosion, shining uncomfortable lights on those who get justice, those who do not, and those who don’t really care either way. Abusers and the way the industry never truly holds them accountable, even now, are in the spotlight this season – BoJack is suspect number one in this case, but there are notable sideplots that feature, amongst others, a Mel Gibson/Sean Penn/Alec Baldwin/Michael Richards figure that seems instantly recognisable despite the absurdity of his offences. Raphael-Waksberg has also taken a look at those who see BoJack and think that simply recognising their troubles absolves them of their flaws, their shortcomings or their non-efforts to change them. In short, it’s a tough topic about the normalisation of abuses and/or one’s shortcomings. Princess Carolyn isn’t spared from this either, for as much as I want only the best for the character I identify with most closely, her goals and realities are not spared from the show’s signature analysis over the 12 episodes. You want more to happen than what actually happens, but you know that’s what the writers are trying to say. You think of Penny from Season 2 and you get a sick feeling every time the events of “Escape to L.A” are mentioned, knowing that BoJack’s history has not yet caught up with him. You want a lot to happen and while I won’t comment on what actually does happen, you may be disappointed. It was a tough watch this season, and there’s a heartbreaking addiction plot that you will not be able to turn your eyes from. So, it’s not there for the easy ride. But BoJack never is. I’m not one of those people who seems to fetishise their own issues into the show – it’s a problem that the writers banged over the head of the audience this season. I can generally handle watching BoJack’s life, but when I called the show troubling, it’s because there are going to be a lot of people with experiences similar to mine that want so much more for the people certain characters represent. Hands will be wrung, anxiety will be felt. It was a very good season, no question. Episode 6 is already being praised as bringing a new level to the sitcom format, like the episodes “Time’s Arrow” and “Fish Out of Water” before it. I don’t know whether I have that same level of adulation for “Free Churro” as others do, but as a lifeboat from the rest of the season that focuses on a different kind of pain, a different kind of abuse, all the while providing some of the best jokes of the season, it’s a much easier watch. It’s pretty clever, too. I’m pretty sure I can guess the point where you’ll yell ‘Ohhhh nooooooo’ at the screen. Todd finally gets his groove back as well – while I loved Season 4, everything to do with Todd in that season was pretty poor and not at all funny, or really, all that interesting. Slapstick plots are supposed to be funny – we’ve been relying on them since the dawn of film itself. And Todd finally gets good sideplots again. The episode that most deals with his newfound relationship and its relation to his asexuality is both appealing for its sheer hilarity but also a returned respect for Todd’s character which was somewhat missing last season. Diane is… well, Diane maybe exemplifies the end of the season better than anyone. You will have to watch it to find out. And when you do, keep an eye out for the Princess Diana references and get your tin foil hat out for next year. I still hate Mr. Peanutbutter. Like, there really aren’t any faults with the season in terms of quality. The consistency is back to its Season 3 peak and there’s no bad episodes. Weaker ones, but only marginally and due to the quality of those episodes surrounding them. It’s just a season that I don’t think I can return to any time soon, because what I hoped and wished for in regards to Penny only ended up bouncing back and hurting me in an entirely personal way. I won’t elaborate on that. You’re going to be disappointed in BoJack himself. That’s the point. You may even go past disappointment and enter disgust. That is also the point. Just don’t normalise that disgust, don’t come to rely on it. It’s maybe the biggest point of the season, and you will see why. I love this show. 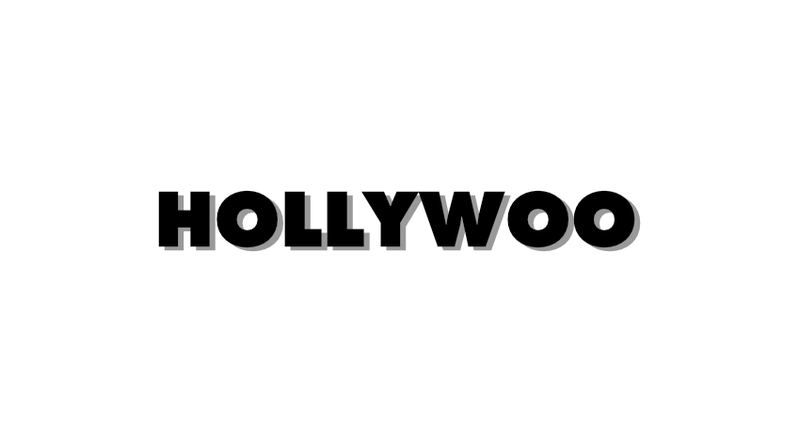 This column is called Hollywoo for a reason, so please, watch it. Just be careful when you do so.